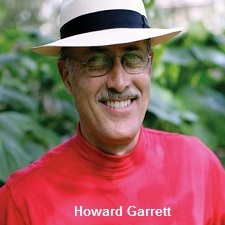 Howard Garrett is a graduate of Texas Tech University, a Dallas landscape architect, arborist, author, newsletter editor, columnist and nationally syndicated talk show host committed to the research, education and promotion of organic programs and products that are explained in detail on his website DirtDoctor.com. He is also Chairman of Texas Organic Research Center (TORC) a 501(c)3 corporation and Organic Advisory Board member - Texas Department of Agriculture. Garrett is the undisputed leader of the natural organic movement in the United States. 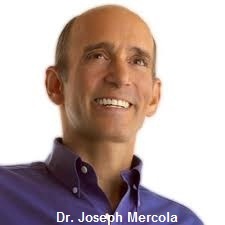 The Mercola group consists of: Mercola.com, which publishes a natural health newsletter, with over 1.4 million subscribers. The newsletter is published three times a week and allows Dr. Mercola to share his wealth of natural health tips, gained from many years of private clinical practice and decades of cutting edge research. Mercola Healthy Resources is an online e-Store that gives millions of people access to the highest grade of supplements and other healthy life style support products on the market. The third component is Dr. Mercola's new Natural Health Center which helps hundreds of patients each month take control of their health. The goal of the Mercola Group is to educate and create a new awareness for smart and healthy choices leading to vibrant health and well-being. To discuss this newsletter or any other topic, tune in Sunday 8am -11am CT to the Dirt Doctor Radio Show. The call-in phone number is 1-866-444-3478. Listen on the internet or click here to find a station in your area.